Krista Bean: Where did the idea for The Rent Collector come from? Camron Wright: My book was inspired by a documentary that my son filmed at the Stung Meanchey dump in Cambodia. I was immediately taken by the notion of a garbage dump as the story’s setting, since it’s so rich in irony and metaphor. Living at the dump provided the means for Sang Ly’s family to stay together, but at the same time, it was killing her son. More than the setting, however, I was struck by the courage and fortitude of the people, especially Sang Ly, who was relentless in her search of a cure for her ailing son. KB: Besides studying your son’s film footage, what kind of research (if any) did you have to do? CW: I relied quite heavily on my son’s experience as someone who lived in the country for several years and speaks fluent Khmer. I also read numerous books on Cambodia that covered the geography, people, and the country’s unbelievable and often horrific history. And I read books on literature, writing and myth, as these were all important to the story I wanted to tell. Once The Rent Collector was picked up for publication, I traveled to Cambodia to present an advance copy to Sang Ly. It was the first time I’d been to the country and I was worried that after the visit, I would need to rewrite large sections of my story. As it turns out, I changed almost nothing. 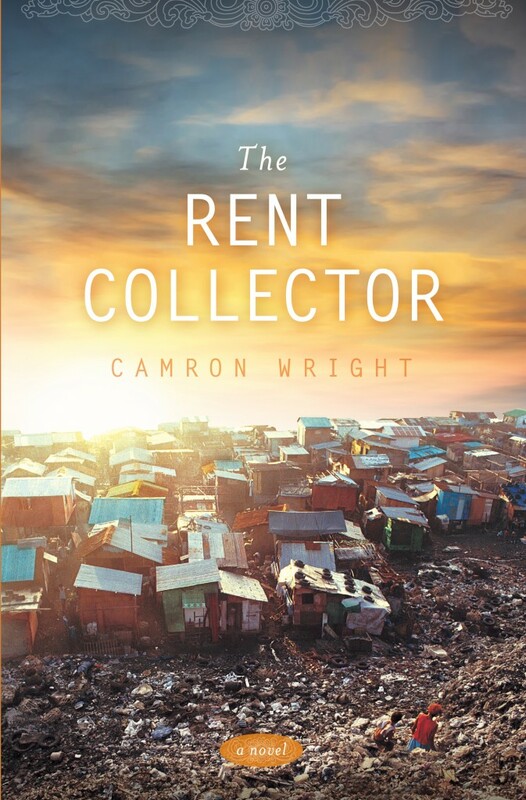 The Rent Collector is a story about hope and our human condition, and those are things that don’t change. KB: The Rent Collector is a novel based on real people and events. How did you determine, when you were writing in that gray zone, how much reality to include? First and foremost, as a fiction writer my number one goal is to tell a compelling story—one that grabs attention, teaches and inspires. Of course I wanted the setting and related history to be factually accurate, but they only serve as a backdrop for the characters and events I set out to portray. It’s true that my main characters, as well as certain elements of the plot, were inspired by real people and events, and I love it when fiction and reality mesh together like that. However, no one should take this to mean my story, as a whole, is anything but fiction. I recognize that my approach may drive some people crazy, in that they must know what’s true and what is not. I would tell them not to worry about it, and that advice applies to all books. If you love a particular story, if you are a better person for investing your time in reading it, then it has served its purpose. I’m reminded of the words of a writing teacher who said, “While it’s not true, I hope it teaches truth.” The latter is my bigger concern. 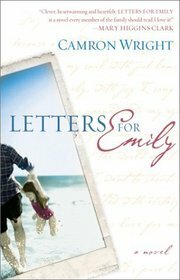 KB: Your first book, Letters for Emily, was self-published and was then picked up by a major publisher. How did you make that happen? CW: The short answer is, through a crazy amount of hard work, relentless determination and an unearned measure of luck (read grace). Even though I believed in the story, the publishing industry is brutal and a writer’s chance of success is slim. When I couldn’t get an agent interested, I self-published 15,000 copies to sell through local stores. My plan was to sell 10,000 copies within 6 months and then, with that track record, approach additional agents. I still remember the day the books were delivered to my home. They completely filled two bays of a three-car garage—I could barely squeeze one car past them! Let me just say that I didn’t sleep much that night. I was sure I had made one of the biggest mistakes of my life. But, surprisingly, the sun still came up the next morning, and so I began marketing like my writing future depended on it. The push included local book signings, visiting book clubs, speeches at schools—I tried everything. My kids even sold copies door to door. Thankfully, the book took off and after just two months, I’d nearly sold through my 10,000 goal. At that point, I contacted ten more agents and while eight still didn’t respond, two were very excited. Soon, an auction was arranged where several New York publishers held a bidding war for my book. It was both amazing and surreal. KB: Letters for Emily was published by Pocket Books, a division of Simon and Schuster, and The Rent Collector was published by Shadow Mountain. How is it different working with a midsize publisher versus a large one? CW: As an aspiring writer, having Simon and Schuster purchase my first book was unquestionably rewarding, both financially and emotionally. I learned, however, that while big-name publishers have the ability to pay large advances, they can also be rigid and shortsighted in their approach. In contrast, my experience with Shadow Mountain has been energizing. Rather than stifling my enthusiasm, they seem excited by it. We’ve held numerous meetings on everything from layout to marketing, and the partnership approach has been refreshing. I feel like we have the same goal—get a captivating book into the hands of interested readers. KB: You have a very comprehensive website. How important is it for authors today to market themselves? CW: It’s critical to sell yourself—and not just through a website, but using all aspects of marketing. Don’t expect the publisher to do it. As an author, you must be equally engaged. That’s not to say that all authors need to be marketing geniuses. Instead, you have to be relentless. I don’t think an hour goes by that I don’t ask myself, what else can I do? That said, amazing marketing will never replace quality writing. Before authors worry about how many friends they have on Facebook, they should be certain their stories represent their absolute best work. KB: What are your favorite books? CW: There are so many great writers that it’s hard to pin down just a few. I’m a huge fan of Nick Hornby’s early writing—About a Boy, High Fidelity and Fever Pitch. Mitch Albom is also a terrific writer. The more I read Mark Twain, the more I appreciate his nuance and language use. KB: What is a typical day in your writing schedule like? CW: My writing of The Rent Collector wasn’t typical, at least not for me. I spent a year writing the book, working in spurts as I could make time. The problem was I got stuck and couldn’t get past several plot elements, no matter how hard I tried. Quite frankly, I was ready to give up. 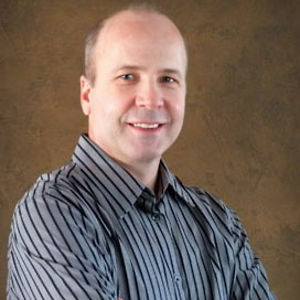 Then my business partner and friend—a person who had helped me market and sell Letters for Emily-passed away suddenly. At his funeral I decided I needed to make one last effort to finish the book, and so I reserved two weeks at a relative’s vacation home. I went alone with the intention of either finishing the book or declaring defeat. That’s when magic happened. Ideas began to flow so quickly I couldn’t write them down fast enough. I would wake up early in the morning and type all day, until late into the night. I stayed at the keyboard for days, afraid that if I stopped, I’d lose the ideas that kept pouring into my head. I was so focused that when my wife called after I’d been there for a week, I couldn’t even tell her what the weather was like. I hadn’t even looked outside. At the end of the two weeks when I loaded my things into the car to drive home, my novel was all but finished. KB: What’s next for you? Find out more about Camron and The Rent Collector at his website.